Me again! I forgot about this card! I made it for a sweet friend for her birthday and had put it under some heavy stuff to flatten it. Her birthday is today, so oops! She'll still like it I'm sure. 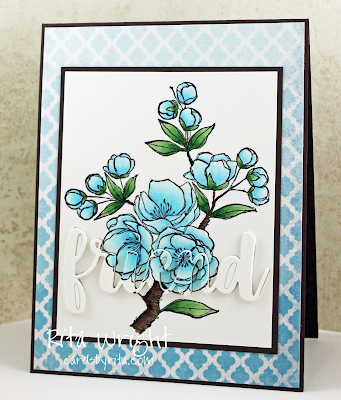 I used the new Distress Oxide inks for the background and then the Stampin' Up! Dragonfly Dreams bundle for the rest. 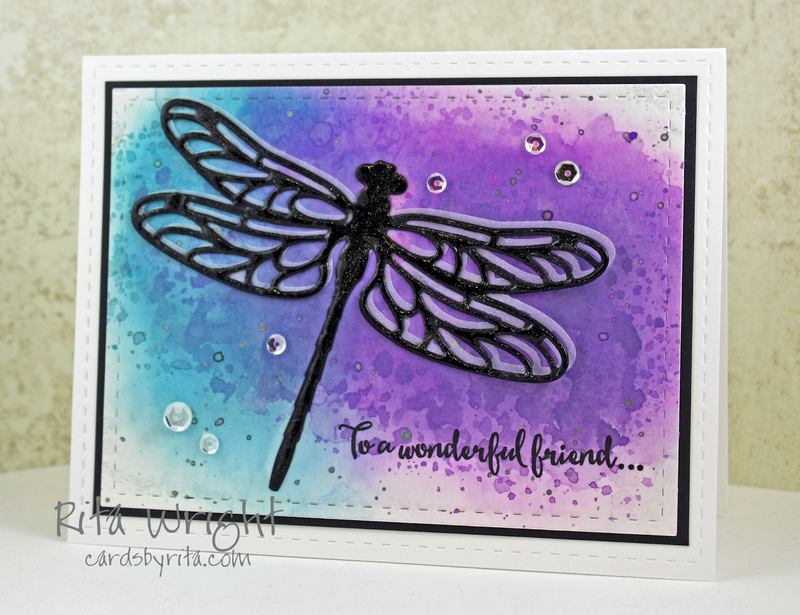 The dragonfly has Wink of Stella and Crystal Accents on it, so it's shiny! I cut a set of wings in vellum to put behind it too. I love how it turned out! Is it Friday yet? This week has been so long! I joined Weight Watchers this week so I've been trying to be more active. Today, not so much. 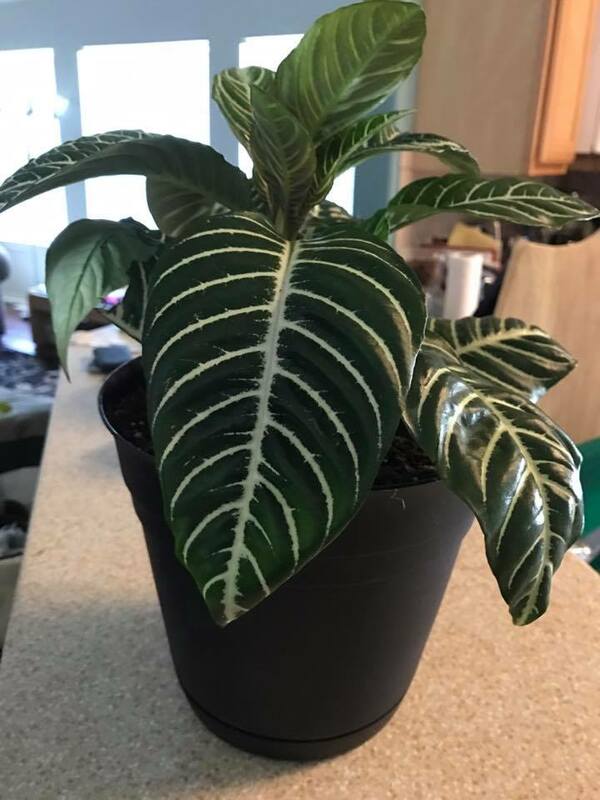 I did do a bit of gardening and walking around plant shopping, so there was that at least. I added a few plants inside as well. We haven't had plants in like 14 years because of the cats. I researched some that are safe for cats, so now we have some! I love it. I'm off to read a bit before I crash. Another long day ahead tomorrow! 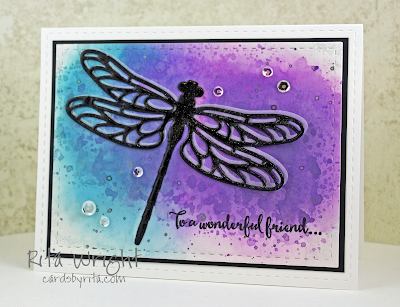 Labels: distress oxide, Dragonfly Dreams, Stampin' Up! Hey strangers! It's been a bit. I've decided to take up gardening I guess, so I've been digging and planting. We extended our butterfly garden and I've been potting plants that feed and attract them as well. Fun, but work! 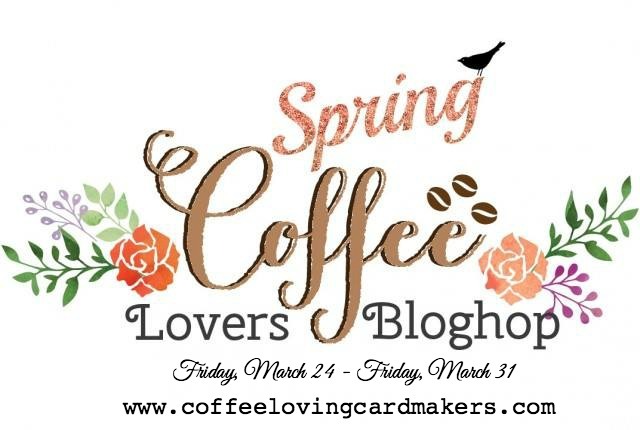 I did want to join in with the blog hop as I LOVE coffee. I'm not even sure I'd survive the day without it. 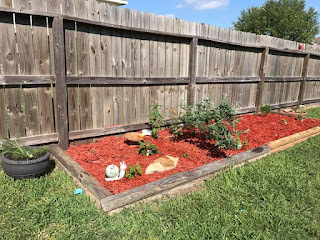 Here's our garden. 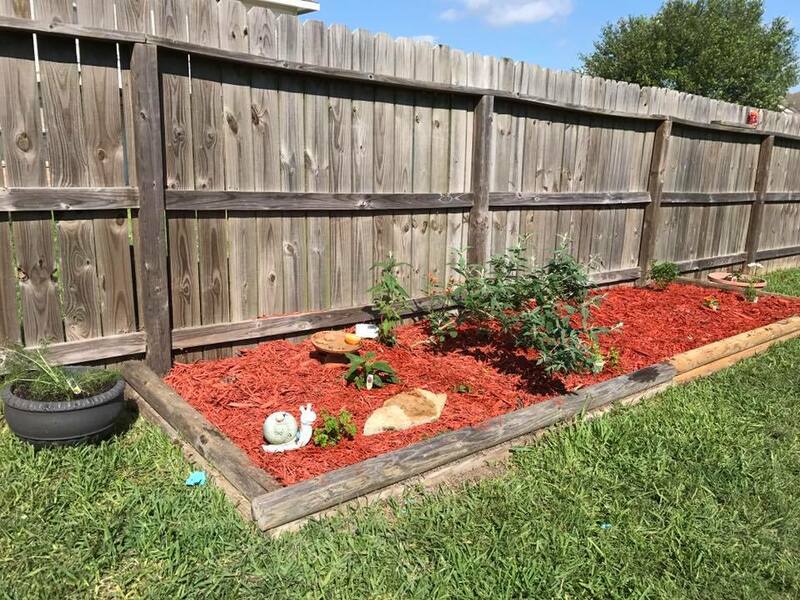 It's waiting on the plants to grown and bloom and the butterflies to come visit. I have more seeds started, so we'll see if I can get more milkweed for my Monarchs. Who doesn't love a sweet new baby? 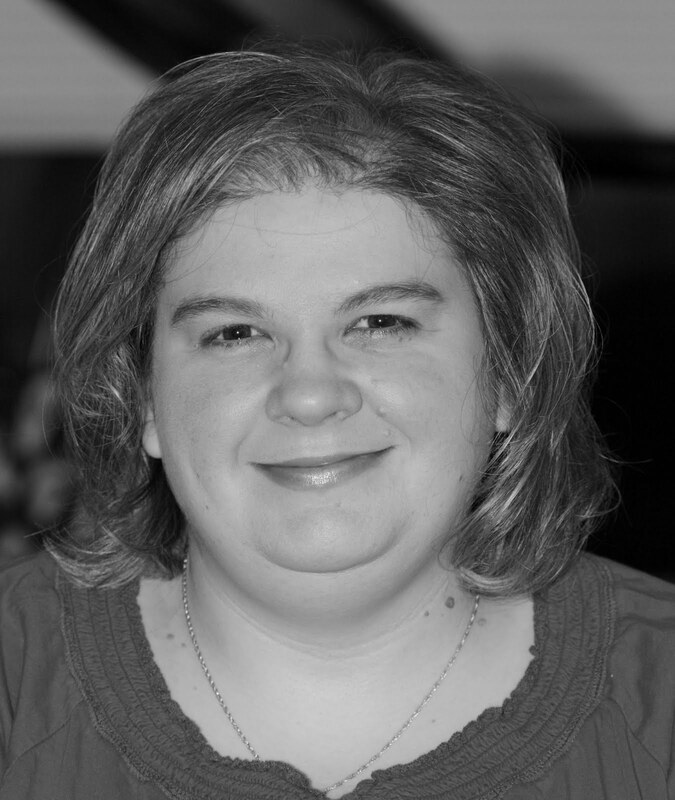 My friend Lesley, the creator of Freshly Made Sketches, is expecting a little girl very soon. Some of her friends and fellow crafters are having a fun blog hop today to celebrate! 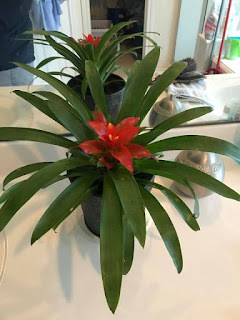 You can find them all over at Lori's blog. I'm forever grateful to Lesley for giving me the chance to be on a team like Freshly Made Sketches. It has really stretched my creativity, but more importantly, given me some amazing friends. I love this sweet image. I don't know if it's for baby cards, but I think it fits. I know most people used pink, but as usual, I'm the odd ball. Congrats, Lesley and Corey! I know this was a big dream of yours and Lesley, I know how hard you worked to make it happen. Best of wishes to you guys and baby girl. I'm having a lazy day playing with my new Distress Oxide inks, so I'm headed back to do that. I hope you are having a good week. 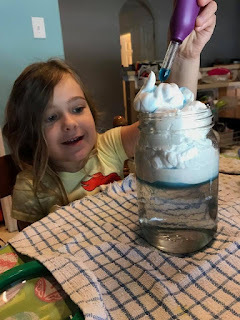 Our raining cloud experiment from yesterday. :) I put too much shaving cream in to start, so it took FOREVER for it to rain in our jar. Lesson learned. Hey! We've made it halfway through the week. Whew. The week after the time changes are always brutal for me. I feel like a zombie, so I think more coffee and a nap might need to happen every day,. 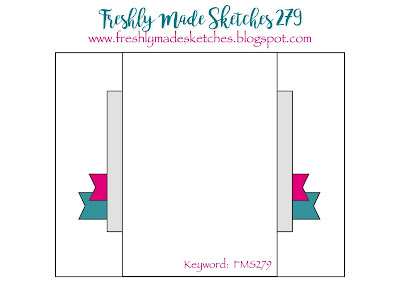 :) This week I am hosting our sketch at Freshly Made Sketches. I have been an awful member of the team lately, but they let me host. 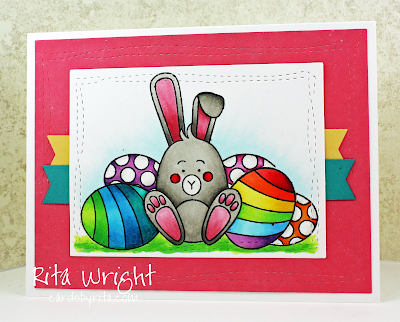 :) I picked a stamp set that I hadn't used yet and tried coloring it. It's a cute one, so I'll have to try again soon. Layers and banners! Yes, please. 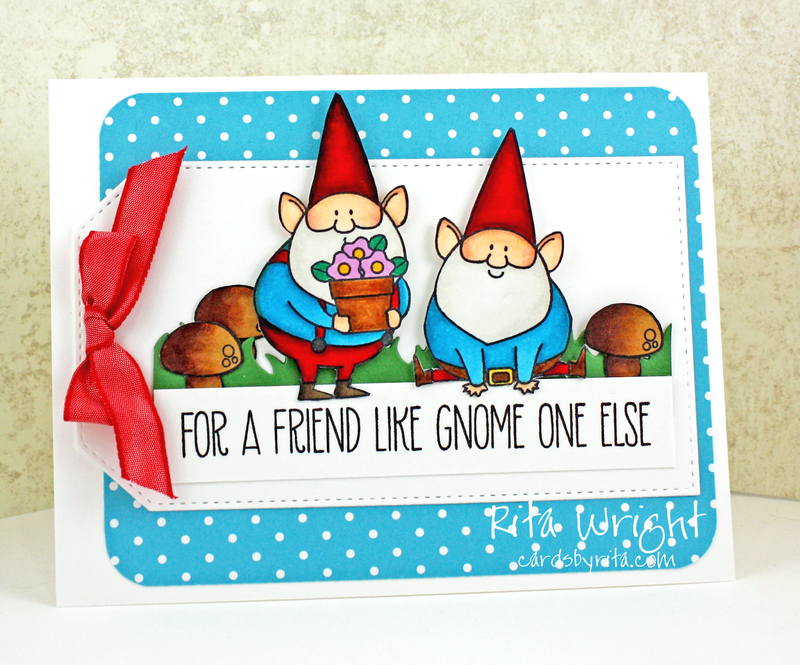 I hope you'll come play along! Now I have to run before Laila destroys our kitchen. 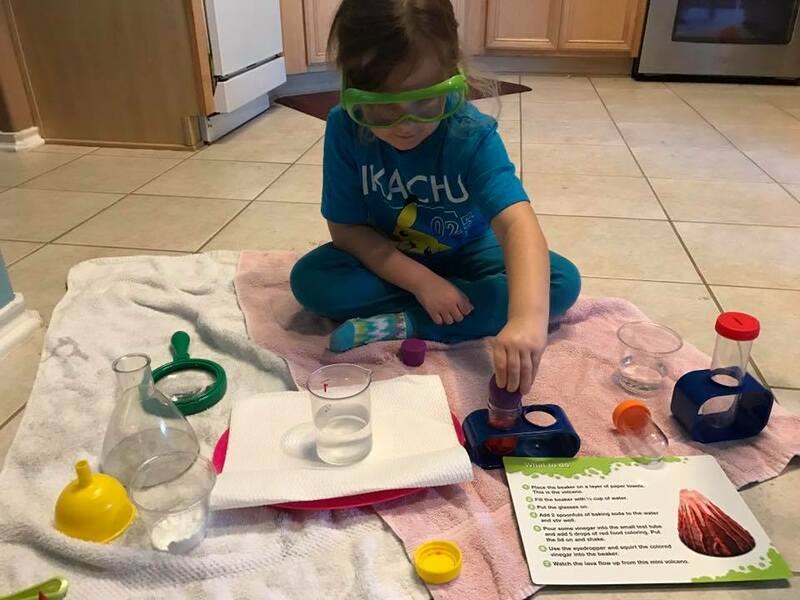 I gave her a science kit and she's having a blast. We have a lot of towels and clothes to wash, but hey, it's better than her watching TV. She loves mixing and pouring. Happy Friday! I woke up early, so I've had coffee and put this card together. 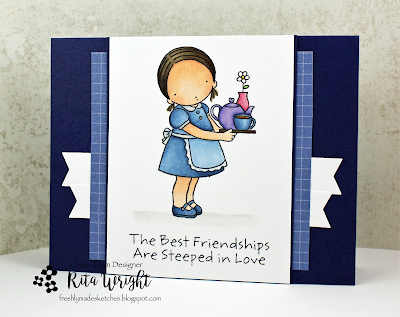 I colored this cute images yesterday for the 30 day coloring challenge and thought I'd use them for the current MFT Card Challenges sketch. They seemed perfect for it. Red and turquoise are another favorite color combination of mine, so it was fun to work on this one. Now it's time to grab some breakfast and wait on Laila to wake up. Jason has to take our car to the dealership today, so I am sure I'll get to watch Trolls again. :) Maybe if I do that he can play Pokemon with her once he's home. Hey! Happy Wednesday. :) How's everyone's coloring going? I've managed every day so far, but I still have today to do. I've been busy cleaning, plus our car wouldn't start so no playgroup for Laila. I have been taking stuff to Starbucks and coloring while she's there, so I was sad to not get that little time today. Anyway, here's one of my coloring attempts from this week. 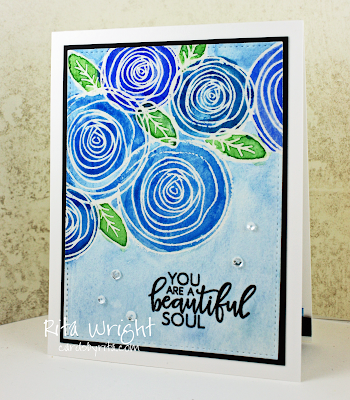 I used a beautiful set from Simon Says Stamp, so I thought I'd enter it into their Wednesday challenge since it's for a special lady/girl. I will try to come back and list the supplies, but I have to run and finish up dinner. I've been trying some new recipes this week and so far so good. I hope this one is as well. Anyone else addicted to the Instant Pot? Oh, someone asked about my Ebay store I think. I honestly don't have much there as some of it sold and I'm behind on listing new stuff, but here it is. I'm working on a few more card kits, so stay tuned. 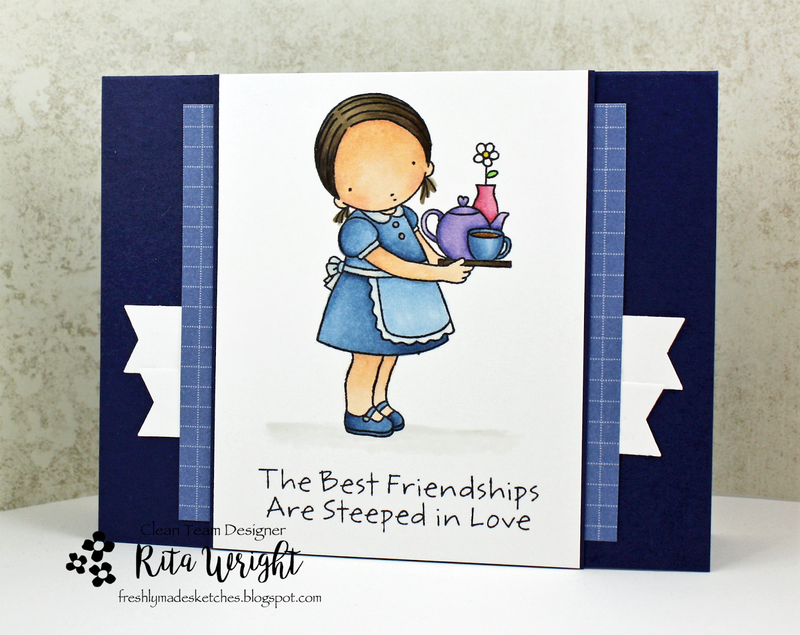 If you have a stamp set or occasion you'd like to see in a kit, let me know. Back with my coloring for yesterday. 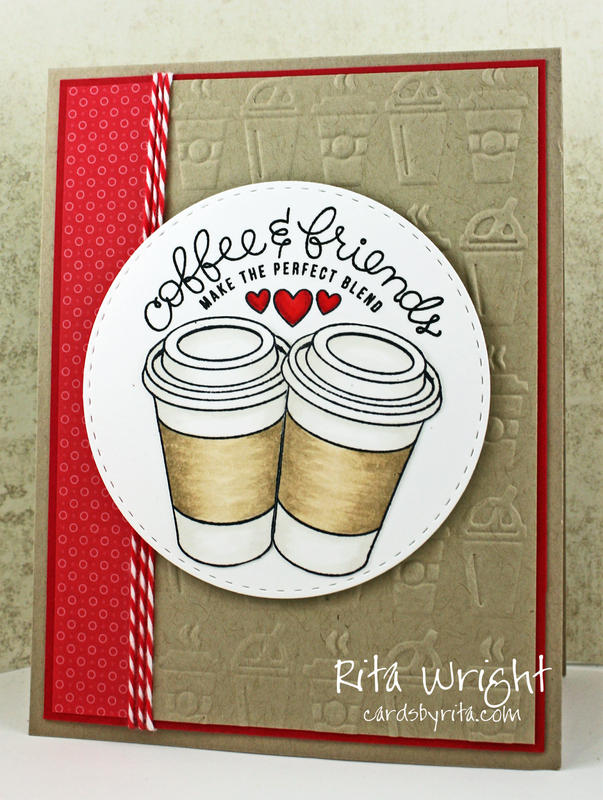 I love coffee sets, so last month's card kit from Simon Says Stamp was perfect for me. I am always drawn to red and kraft (aka Crumb Cake), so I used it. Why not, right? 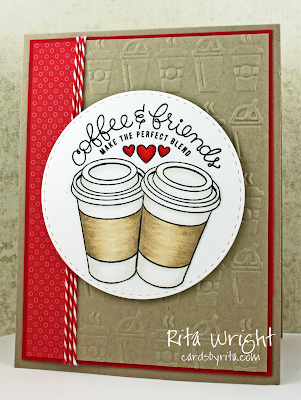 :) I colored the cups with grays and browns, added an embossed piece, and that was pretty much it. I'm working on a card with the SU Indescribable Gift set that is very different from my last one. I'll try to post it later today, but Jason's working overtime... It may or may not happen. Laila isn't the best at entertaining herself. 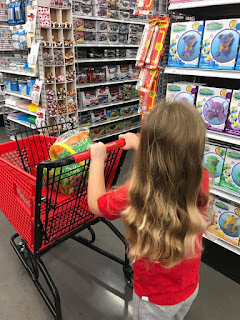 Speaking of Laila, I do have an update on her testing.. We finally got her reports back this week and they diagnosed her with ADHD, combined type and Oppositional Defiant Disorder. The recommendations were a playgroup, which she's in already, and therapy for her and our family I hope we can get that going and help get her prepared for kindergarten in the fall. I'm so nervous about it. Our experiences with school haven't been positive at all. I am going to make an appointment soon with the principal so he knows us and can maybe help with placement She will need a teacher with the patience of a saint! 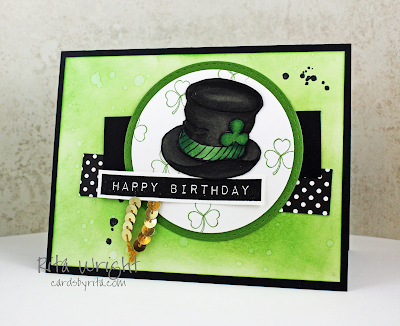 I had to use the new card kit from Simon Says Stamp this week. I love eggs and bunnies so much. This was my coloring for yesterday. I was just too tired to post it last night and then got behind today. So many people at the grocery store had on perfume or cologne this morning and I came home with groceries and a headache. If I ever run for a political office, my platform will be banning all perfume and cologne forever. lol I joke about it, but it triggers bad headaches and sometimes migraines for me. Now I'm off to work on more organizing. 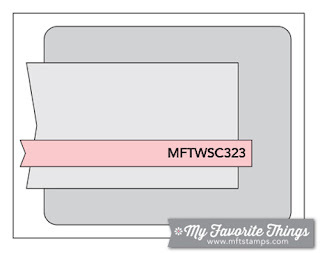 My friend Meg told me about tracking our stamps in Evernote today and I can already see it will be a life changer! If you haven't heard of it, google Evernote and stamp organization. 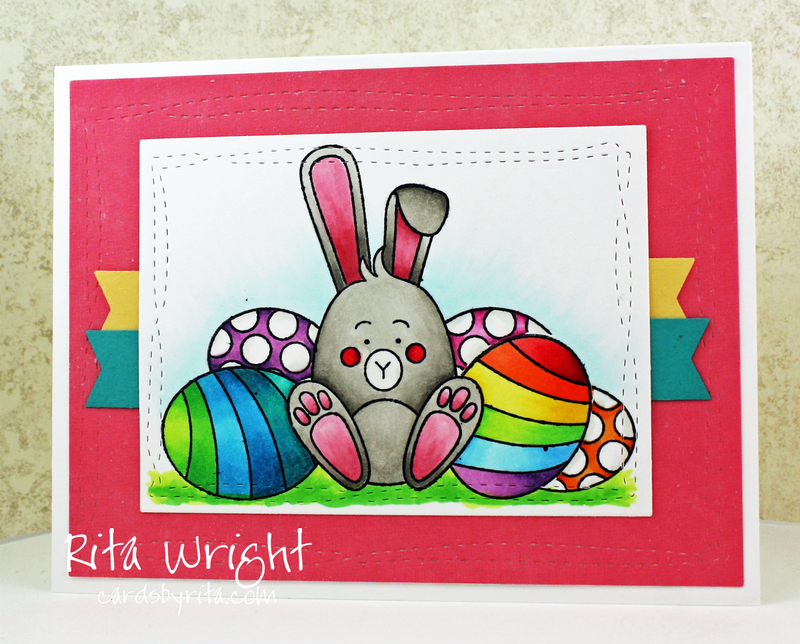 Are you participating in the coloring challenge this month? Don't know what I'm talking about? Check it out here. Today is day two, so you can still jump in! 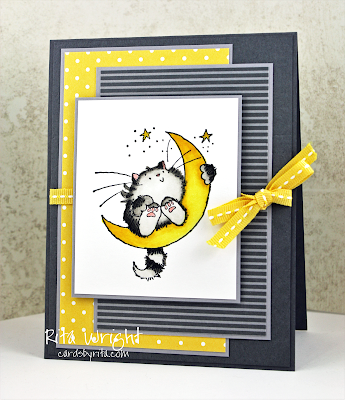 I colored a cute cat yesterday, but I haven't put it on a card yet. 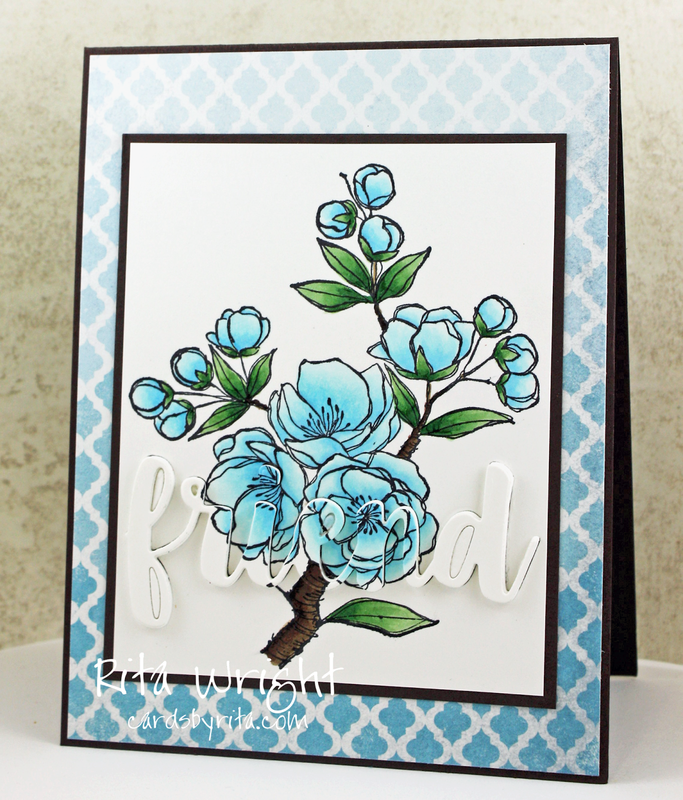 Today I colored this beautiful image from Indescribable Gift by Stampin' Up! This is such a fun image to color. 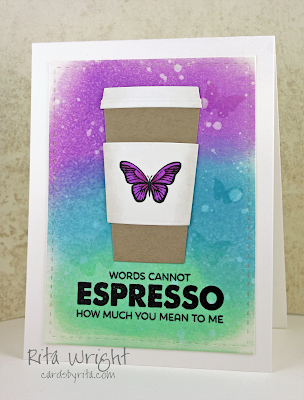 I couldn't figure out where to put my sentiment, so I decided to use a word die to add some interest. I cut it out on my panel and again on fun foam and then stacked them. It's fun to camouflage your sentiment sometimes. 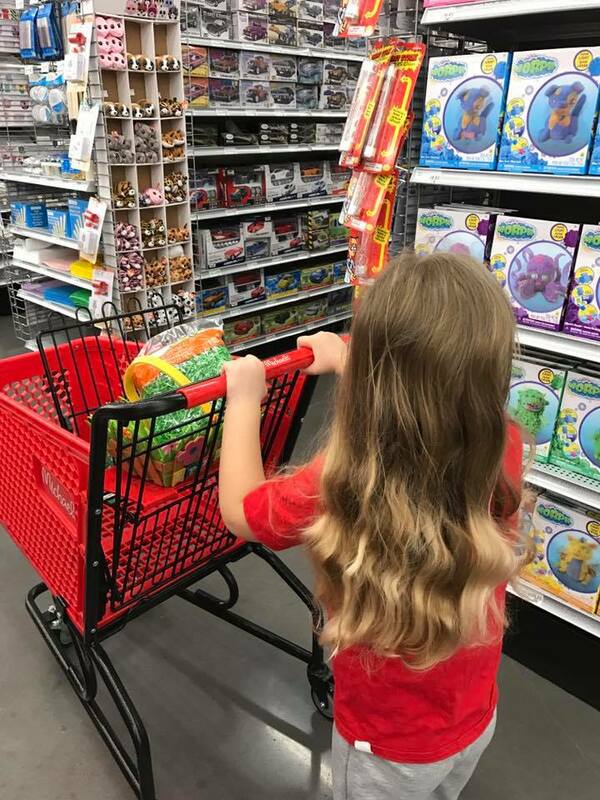 Laila discovered that the shopping carts (we called them buggies back in Kentucky, but I guess in Texas they are carts) at Michael's were just the right size for her to push around. We walked all over the store that day. :) She cracks me up. Labels: Daily Marker 30 Day, Indescribable Gift, MFT stamps, Stampin' Up!